YOU WILL ABSOLUTLEY LOVE THIS EXPERIENCE! your own luck. Learn never talked about secrets that have been used and kept secret from the masses. and solfeggio tones that will have your body resonating luck and feeling amazing! 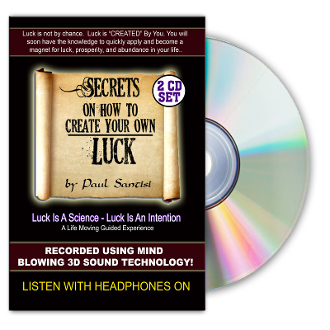 everywhere all at once - use unlimited luck affiramtions to change how you vibrate and attract lucky people. overthe World! Truly the best guided meditation on luck ever created.Over 1 hour long and an amazing experience!